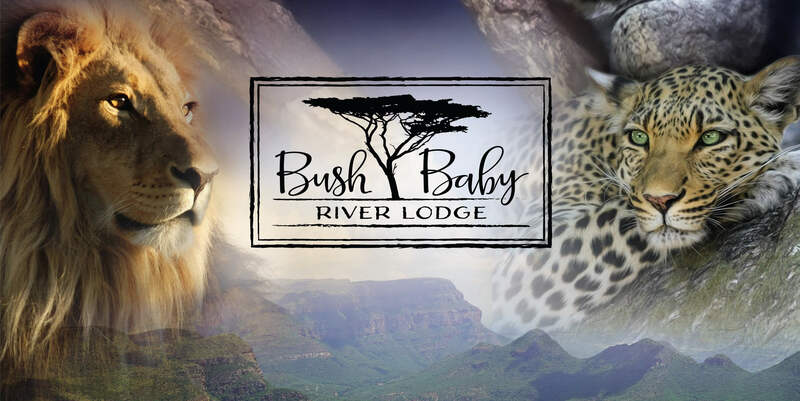 In the heart of the African bushveld and at a short distance from Kruger Park, Blyde River Canyon and many other phenomenal attractions of South Africa, Bushbaby River Lodge is the exclusive destination for travellers who love nature, privacy and luxury. 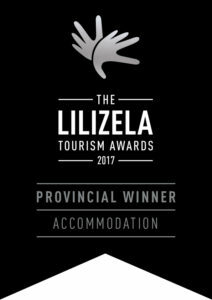 Awarded best 4* B&B of Limpopo of 2017 and 2018, Bushbaby River Lodge is a unique lodge, situated in the exclusive and most picturesque part of the Hoedspruit Wildlife Estate, boasting a dry riverbed: the place to spot the local wildlife. Bushbaby River Lodge is surrounded by beautiful large trees and is the ultimate place to relax, watch the wildlife and enjoy the nature and quiet surroundings. 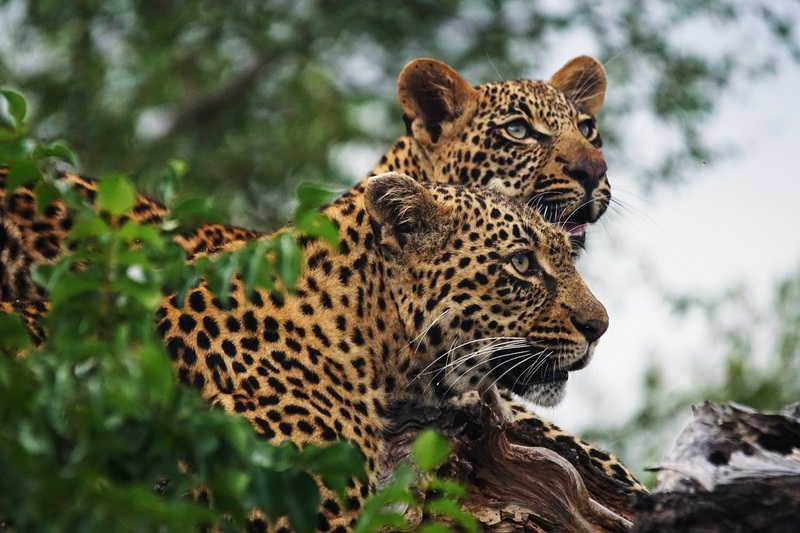 Due to the absence of big five animals (though we do have leopard) in the Wildlife Estate you can safely explore the African bush by yourself on foot or by mountain bike: a nice break from sitting in the car while on safari in South Africa. Walk up close to a giraffe or look a zebra straight in the eye while on the mountain bike, it is a unique experience! 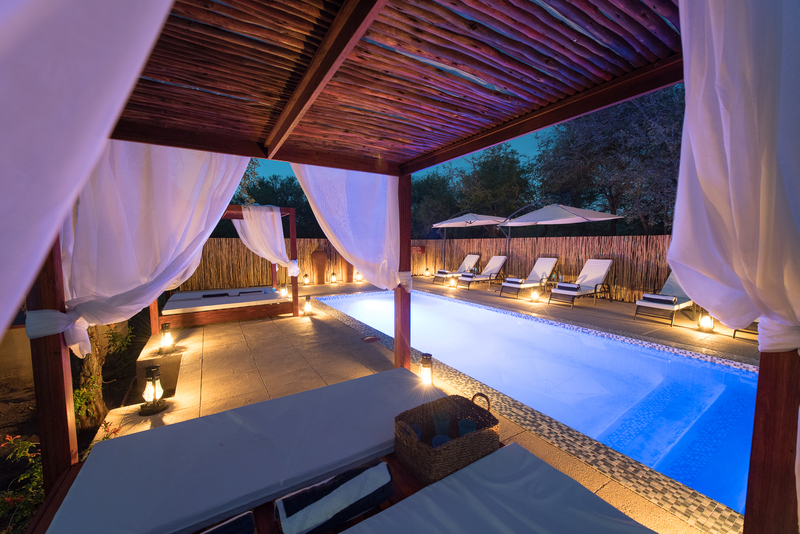 At night the lodge is surrounded by night creatures like porcupine, genet, civet, bushbabies and even the odd honey badger that you can see from your own patio. 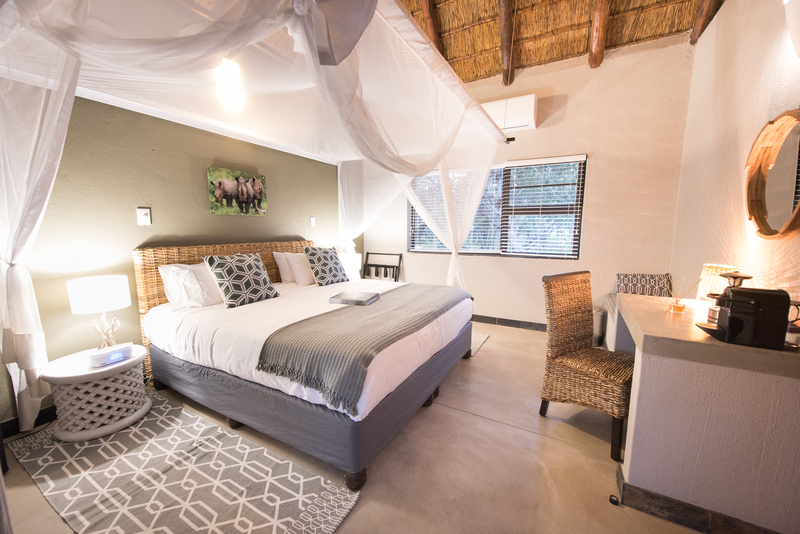 Bushbaby River Lodge offers five spacious and luxurious thatch roof chalets, each in a charming setting with its own theme after the big five. All rooms look out on the garden and offer a lot of privacy. 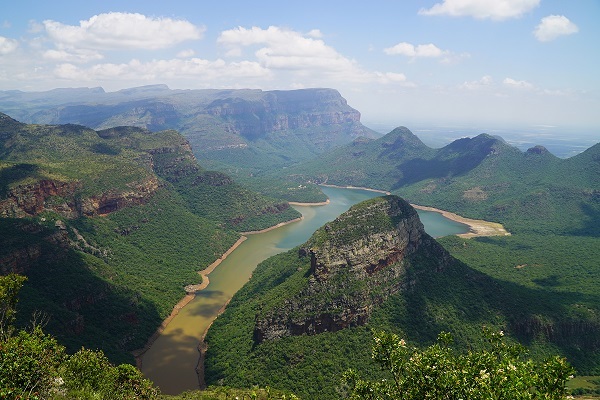 Blessed with a perfect climate and a myriad of (natural) attractions nearby, Bushbaby River Lodge is the perfect base to discover this part of South Africa or return to time after time. Whether you wish to spend a couple of days or more at Bushbaby River Lodge, celebrate your honeymoon or are looking for some bucketlist experiences: we help you organise your perfect stay! 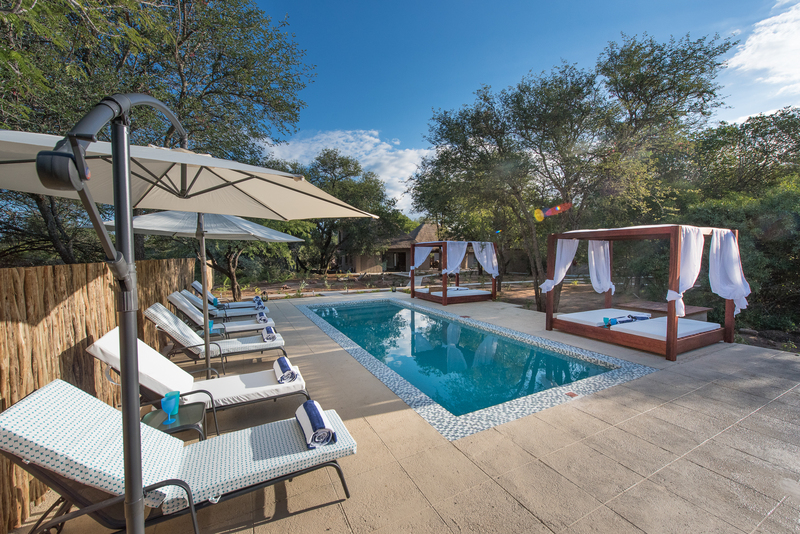 Bushbaby River Lodge is the perfect destination for couples, friends, families and honeymooners. 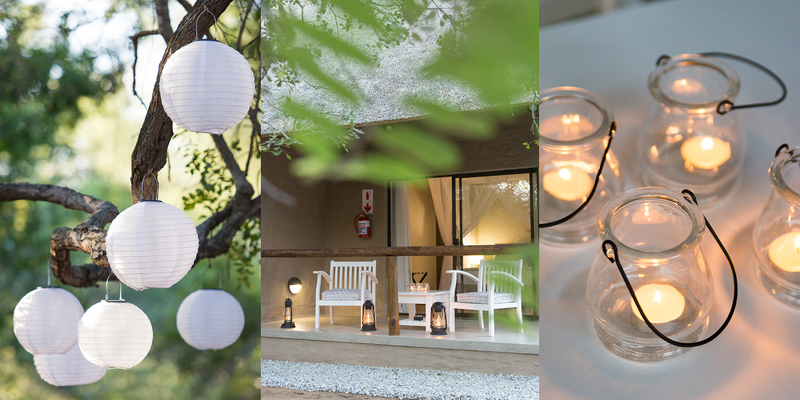 Whether you stay just a couple of nights, a week or even longer: Bushbaby River Lodge is based in the exclusive and most beautiful part of the Hoedspruit Wildlife Estate and is your ideal base to discover this versatile part of South Africa. 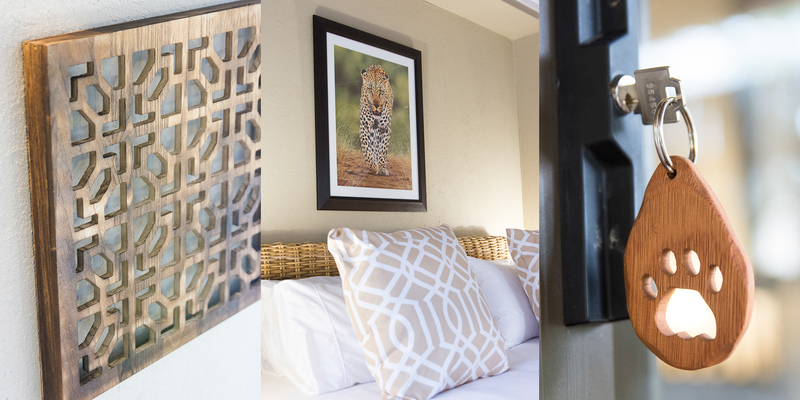 Enjoy your stay in one of our tastefully designed rooms in African style, surrounded by the bushveld garden and admire the most beautiful animals that visit your doorstep. 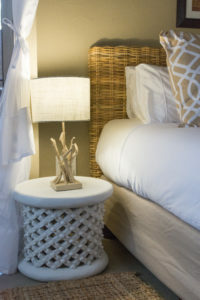 Your room offers all facilities you may expect from a luxury lodge: a kingsize bed with Egyptian cotton linen, a high quality mosquito net, airconditioning and an en-suite bathroom with outdoor shower where you can experience the ultimate feeling of luxury under the African skies. 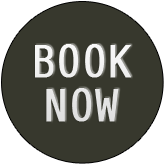 We offer you a stay on a bed and breakfast basis, but also offer lunches. For dinner we can advise you on many fine restaurants that are just a 7 minute drive away. 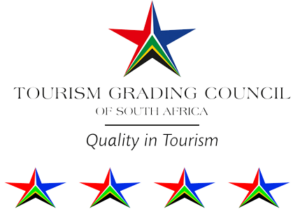 On Wednesday and Saturday night we can accommodate a braai for a minimum of four guests.